Everyone has their vice. It doesn't take much thought for me to admit that mine is lipstick. I literally have never loved one thing more (other than my family, of course) than lipstick. I'm not even embarrassed by my overflowing collection of a rainbow of shades, brands, formulas, and textures. Lipstick has served me well in countless selfies, social interactions (i.e., dates, interviews, etc. ), and boosting my overall confidence. Nothing can impact my mind better than a fiery red lipstick that screams that I am an unapologetic, fierce, and strong young woman. Now that that's out of the way, you can probably assume that I've tried my fair share of liquid lipsticks. I'm a one-and-done type of girl when it comes to lipstick. I like to apply it once and I don't want it to move. These are the reasons I typically shy away from glossy, non-matte formulas because they're fussier and require more maintenance. When I found out Pat McGrath aka the "Mother of Makeup" released Pat McGrath Labs LiquiLust 007 in a Colour Blitz kit, I jumped at the opportunity to give them a go. As we previously established, I am not a fan of lipstick upkeep: reapplying, constant mirror/teeth checks, messiness while eating, etc. I'm always on the go and don't have the brain space to worry about if my lipstick still looks on point. 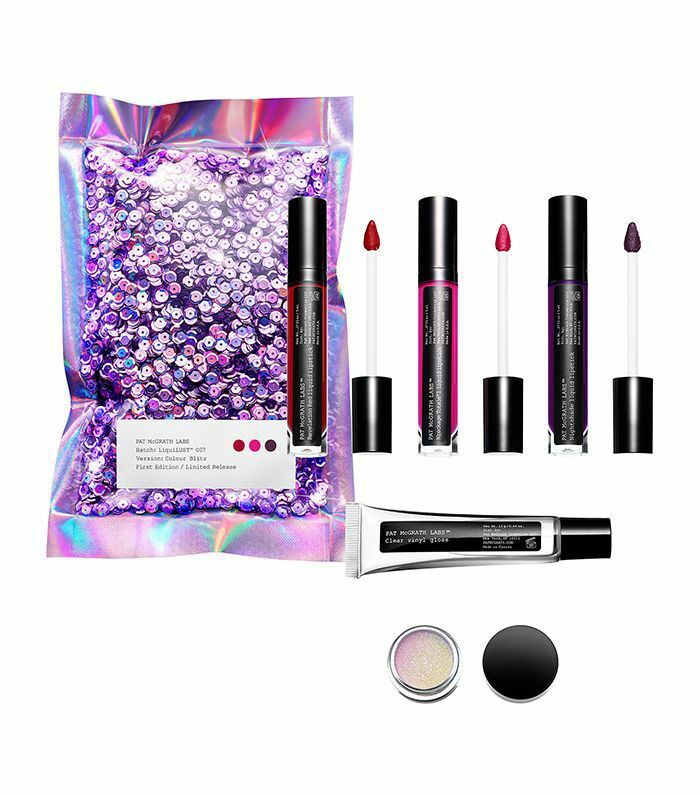 I am a huge fan of Pat McGrath Labs Lust MatteTrance Collection, so I approached this situation with high hopes of Pat McGrath's impeccable track record when it comes to creating exceptional lipsticks. This formula of liquid lipstick claims to offer up smooth, saturated, long-wearing color that stays comfortable on your lips. First up for day one was Revelation Red. Blue-based reds look great against my dark skin tone, so I wasn't surprised when I instantly fell head over heels for this sultry shade. This is me bright and early wearing the shade Revelation Red. Initial thoughts: Overly obsessed with its fiery red pigment. The doe applicator made for an easy application. The formula settled into my lips pretty quickly. Longevity: I applied this lipstick at 9:30 a.m. This is after one hard-boiled egg, a cold brew, and fruit. No smudges in sight. In terms of comfortability, I forgot it was there at this point. So this is an A-plus in my book. As you can tell by the lighting, this is nearly eight hours later. Final thoughts: I did not reapply this lipstick once. I had a full lunch, three glasses of water, and a bag of popcorn. Not once did the shade escape my lip lines, so it's true to its matte texture. Its bright pigment lasted all day, which is shocking considering the fact that most shades fade after a few hours. Longevity: I'm thoroughly impressed with the long-wear powers of this formula. I was headed to dinner after this and didn't have to bother reapplying since my lipstick still looked fine. I blame the below-zero New York air for slightly drying out my lips—not this formula. This is the Nightshade post my morning breakfast: cold-brew, two hard-boiled eggs, and fruit. Initial thoughts: This deep-purple hue is my jam. I am very pleased with how striking this looks on my skin tone. It's daring and begs for a compliment. Longevity: So far, so good. It feels great—similiar to the previous formula—and lasted through my morning breakfast. Final thoughts: This shade stayed put for hours on end. I love the way the deep eggplant hue edges up my look too. I'll be pulling this out anytime I want my lipstick to do more of the talking. Longevity: I am shook by how this looked untouched nearly six hours later. The opaque shade stood the test of time with my lunch, constant sips of water, and a few snacks here and there. Inevitably I did a few mirror checks and was so surprised that I didn't have to reapply this. This is the way Wreckage Totale looks on my skin tone IRL. Initial thoughts: This bright fuchsia tone is one of those "in your face" shades—impossible to go unnoticed. I love that it's so out there, but it may be a little too bright for my liking. I'm still deciding. Longevity: The staying power of these liquid lipsticks over the last three days has stayed strong, and this shade is no exception. As proven, a breakfast and a cup of coffee can't stand a chance. Final thoughts: My makeup was really natural on this particular day, which made this shade stand out even more. I have a feeling that this Barbie pink hue won't look so out of place with the full-fledged contour, curled lashes, and glaring highlighter that I typically wear on a night out. Longevity: All in all, McGrath over-delivered with these long-lasting formulas. They'll be stationed at the front of my vanity for now because I can rely on them to keep up with my busy lifestyle. So if you too share a love for matte formulas, take these for a test-drive.